If you are running a small or large retail store and managing the core functions such as stock or inventory tracking, sales, pilferage/theft control and other store management functions using manual method, think again. You have technology available now to do all these and much more with absolutely zero error, low cost, less human intervention and high operational efficiency. We are talking about Radio Frequency Identification aka RFID. These electronic tags are largely used in small to big retail environments for various store management purposes. These tags are smaller in size and can be embedded in any object for tracking purpose. RFID tags are small chip like elements which use electromagnetic fields for tracking inventory and registering sales. 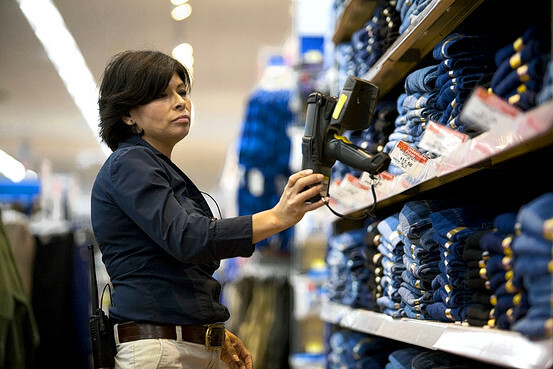 This technology is highly useful in any retail business environment as store owners can install remote RFID scanners at strategic places such as POS counters and entry and exit points to scan RFID tags instantly. These electromagnetic tags can be easily fixed with variety of products such as garments, fashion items, gift products, toys or any other high-mobility retail products. These tags contain product information such as cost, location, ingredients, name of the product, expiry date and can be used for self-checkout purposes. However, most of the Indian showroom owners largely use RFID technology for anti-theft purpose. They place RFID scanners at all exit and entry points to prevent people taking away items out of the store without paying the cost. Each customer has to pass through RFID detector and if there is any product where the RFID tags are not removed or deactivated, the RFID scanner give beep sound thereby alerting the security staff of possible theft. Each RFID tag is unique and carries distinct product number and information. This helps retailers to link the sales to the recorded RFID data and track shoppers’ buying pattern. Such data can help retailers to take necessary steps to improve customers’ shopping experience and match their buying behavior. With self-checkout POS counters are gaining momentum, customers just need to collect the items from the shelves and then scan them with the RFID scanner installed inside the store. Once all the products are taken and scanned, customers get the payment details on their mobile or on the display screen kept at the POS counter. Shoppers can pay their bill using cash, card or through their bank account. RFID tags are greatly helpful in tracking inventory of goods thereby reducing the cost of physical efforts by staff and possible errors. Manual barcode scanning is a labor intensive process and also time consuming. With RFID scanners, embedded RFID tags can be detected from 20 feet away and details can be read from 100s of RFID tags every second. This also helps store workers to scan products on shelves directly, effortlessly and quickly to get to know the exact number of available items in real time thereby increasing sales, operational efficiency and maintaining sufficient supply to meet demands. Besides, RFID tags are cost-effective and can be used multiple times for multiple products. According to a recent study, storeowners lose about 5-10 per cent of annual revenue due to theft or pilferages happening at POS counters and other sections of the store. With RFID tags, store owners can breathe easy as the chance of loss of items and revenue is largely curtailed.